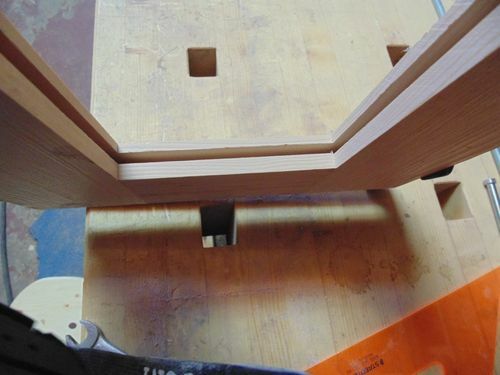 This tennon jig is really not different that others of this type but by using two blades to cut both sides of the tennon in one operation makes it easier and saves time and eliminates the process of having to flip the work piece or resetting the jig for the second cut . This is not a new idea as my uncle did this on a shaper some fifty years ago and I have read about this method in books . The jig is constructed to slide on the fence with as little play as possible and a handle that keeps my hand well away from the blades . 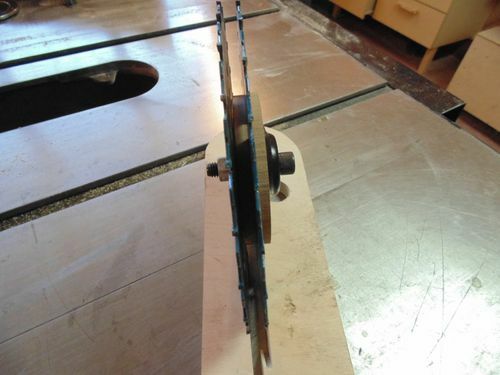 The work piece is held in place by a toggle clamp and aligned by the tall fence and a back stop which both have to be perfectly set a right angle to the saw table . 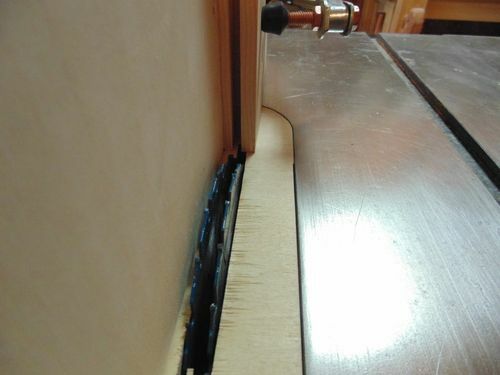 I use a 1/4 ” box joint blade to cut the dado first and then set up the two 7 1/4” blades with a spacer and shims in between to match the tennon to the dado . I use the 7 /14” blades because of the low price and can set it up once to the perfect fit and put it away for the next time I need it . A couple of test cuts and the alignment is perfect . The waste that remains is cut on my sled with a stop block . 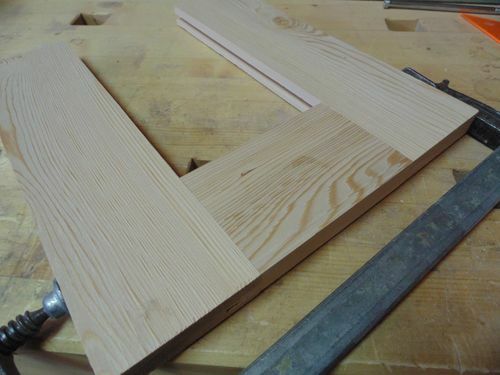 Here is the result of the first test and it turned out very well nice and flush and square and now I can make the doors for my daughters bathroom cabinets . 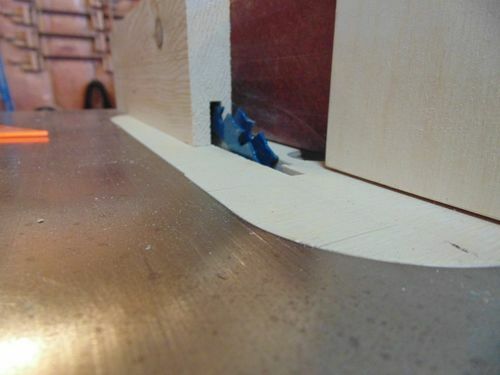 Did you use a circle cutter for the wooden spacer or did you turn it on a lathe? Was the wooden spacer solid wood or plywood? Where did the brass looking spacers come from? 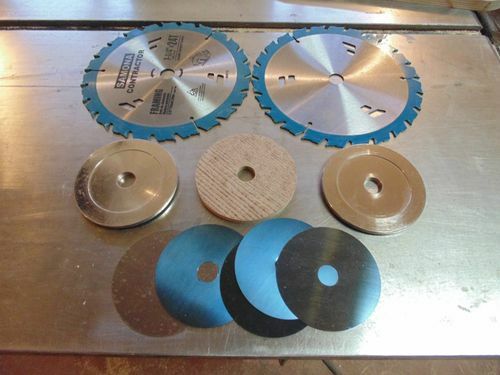 The wood looking spacer is made from laminate flooring (nice and hard ) and cut out on the band saw and the shims are from an old dado set ,the silver washers are saw blade stabilizers from Dimar which I like using with all my blades when possible especially thin kerf blades . 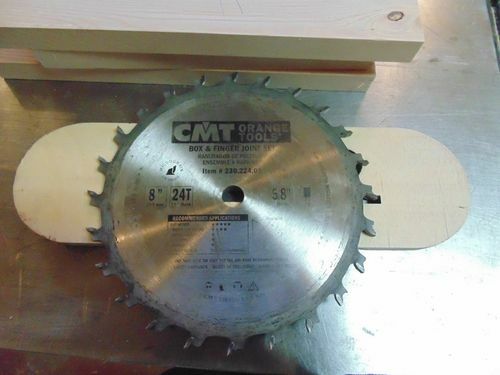 Great idea—I particularly like your use of low cost 7-1/4” blades so you can set them up once and leave them set up for the next time. Innovative as always! Very cool idea Kiefer. Well done. Considered this many times but I don’t really cut enough tenons as a hobbyist to bother. Nice to know it works. Your jig certainly works well Klaus and it’s a pretty simple set-up too. 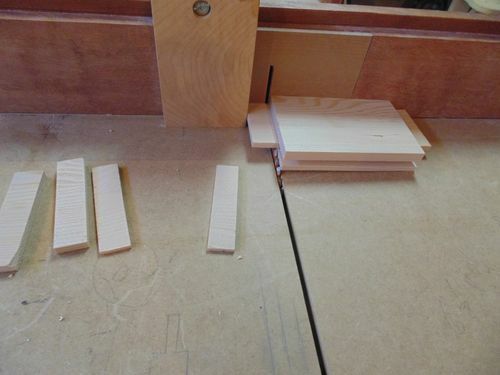 I just finished building a tenon jig last night based on LJ thetinman’s design. The toggle clamp is a great idea. I’m going to add that to mine. So much to like about this jig and setup. Best of all…..it is consistent, once you have it tuned. I have always thought of trying that but was concerned that the spacer might not survive. I guess I am overly cautious. Very clever, I like this!